New technology means that your home can be more secure than ever before, whether you’re away a lot, are worried about your neighborhood or you would just prefer some extra peace of mind. 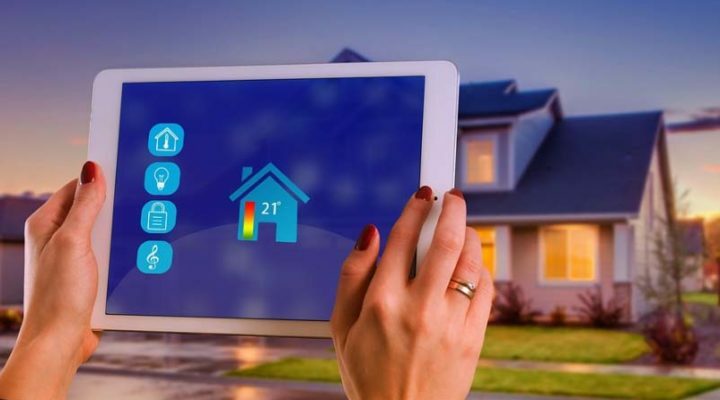 From high-end security systems to automatic timers to motion sensors, there has never been a better time to think about how you can make your home a little more secure. Another great way to make your home more secure is to use timers to make it look like there is someone in the property. You can get smart plugs, smart lights and some home security systems have in built timers too. This way if you are on holiday or away on business you can set timers to make it look like you are at home, putting off any potential intruders. Though these are smart ways to make your home more secure, we’re going to briefly look at some not-so-smart mistakes that could potentially put your property at risk. Having a house key under a doormat or plat pot is never a good idea, it is the first place someone would look. If you are worried about always losing your keys, keep a spare in your car or in your handbag or give one to a trusted neighbour or friend nearby. Simple things like always locking your door, having a deadbolt, drawing curtains at night and locking your windows are still essential.